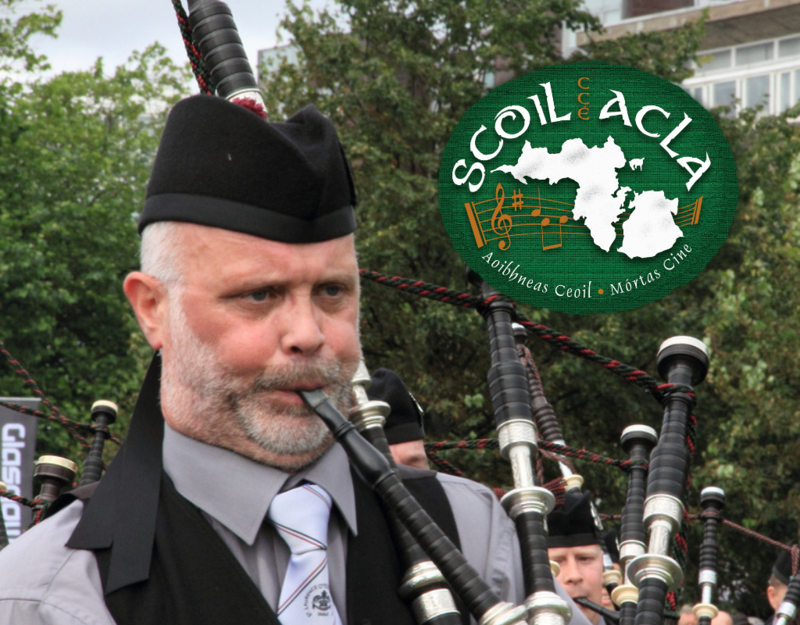 Scoil Acla is delighted to announce that Terry Tully will join our ranks as a piping tutor for 2019. The original Scoil Acla summer school was established in 1910 for the teaching of the Irish language; the teaching of Piping (Irish War Pipes, which have two drones as opposed to three) and the promotion of music, dance, song, and culture generally. The new class will be taught by Terry Tully whose name is synonymous within piping circles. Terry boasts many accomplishments as both a solo piper and as former pipe major of the world-renowned St. Lawrence O’Toole Pipe Band which competes regularly at the very highest level. There will be very limited space for this course which will be aimed at pipers wishing to improve their technical piping skills. Students will be expected to have a strong grasp of piping ie. at least two to three years experience piping. This new course will be a fantastic opportunity to learn from a master piper. Commenting on the announcement, Sarah Calvey, Cathaoirleach of Scoil Acla said “we are thrilled to announce that Terry Tully will join us this year. The pipes are a fundamental part of our musical tradition in Achill and it is great to have a musician of Terry’s calibre join us as a tutor. We expect this course to fill quickly once booking goes live later this month”. “As a regular visitor to Achill, I was delighted to be asked by Scoil Acla to teach the pipes at the summer school this year. It’s great to see Scoil Acla going back to its roots in teaching the pipes and I very much look forward to working with the students this summer” said Terry Tully. Scoil Acla Summer School runs from 27th July to 3rd August 2019. Early bird booking opens later this month, keep an eye on social media and scoilacla.ie for updates!